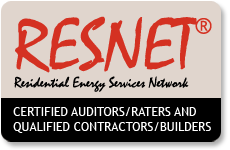 2016 hopes for the HERS rating and greater energy efficiency industry. With a new year upon us, we reflect on the few improvements that would make our daily work more meaningful and productive. I have been thinking a lot about the term ‘high performance’ to describe buildings. I like the term because it is broad, meaningful, and has yet to be co-opted by window sales people. High performance implies that the building functions- that the parts work together.